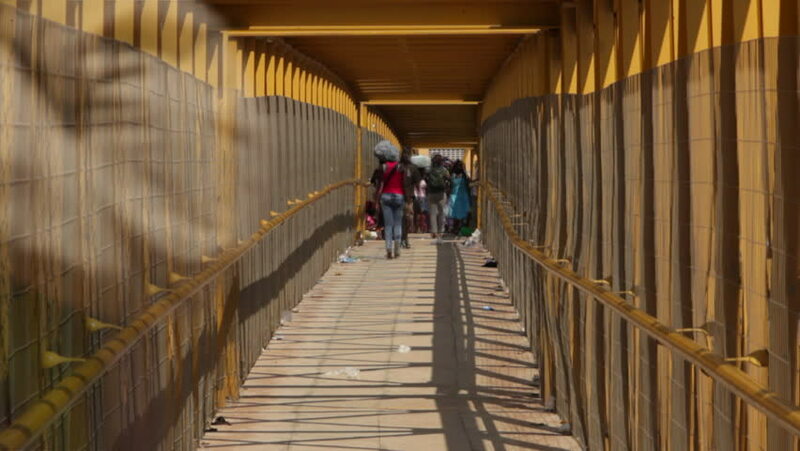 hd00:58Luanda, Angola - 2011 - Shot of pedestrian bridge and pedestrian traffic walking towards and away from the camera. One man is an albino. hd00:59Luanda, Angola - 2011 - Shot of pedestrian bridge and pedestrian traffic walking towards and away from the camera. One man is an albino. 4k00:25BANGKOK, THAILAND - CIRCA OCTOBER 2018 : GIANT GOLDEN RECLINING BUDDHA at WAT PHO.